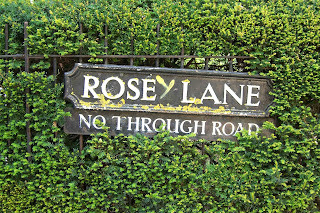 In Oxford, near the Botanical Gardens there is a little street with an appropriately floral name. The signpost is in constant danger of losing its territorial battle with the hedge. Someone has changed the name to Rosey. Was it to woo or honor a lady love? Or was it nothing more than a student making an impulsive joke? Do maintenance workers scrub off the errant Y? If so, does it reappear under cover of darkness? 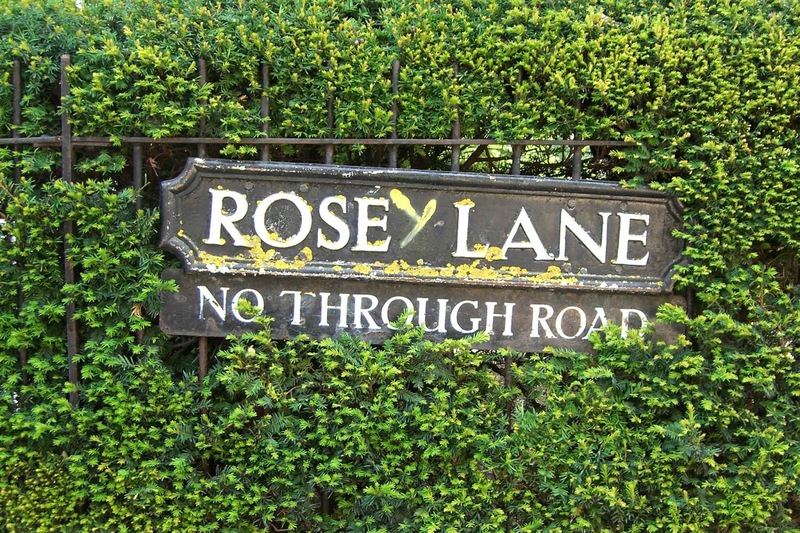 I like to think that it does and that locals have taken to calling it Rosey Lane.